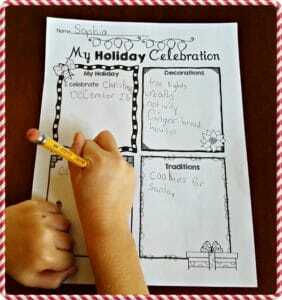 Sharing about holiday traditions in the classroom is a fun way to learn about our classmates’ cultures and customs. 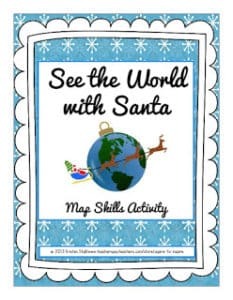 Whether your classroom is very diverse like mine or not, all families have interesting holiday traditions. 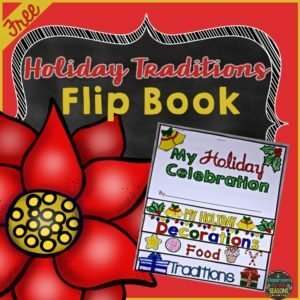 This flip book asks students to write about different traditions including food, and decorations. It is not specific to Christmas. Students of any religion or culture can complete this activity. 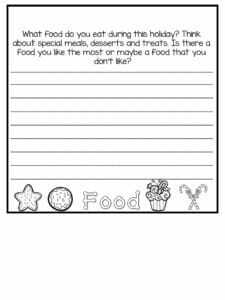 Students can first fill out a graphic organizer. This can be completed at school or perhaps even at home with a parent. Then students will fill out the pages of the flip book and staple it together. I hope you enjoy this Holiday Traditions Flip Book. It makes a great gift for parents, too! 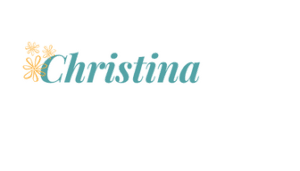 If you would like to download it, please head here.